The electronic medical record (EMR) is now nearly ubiquitous in the USA. This article will review the EMR system with respect to goals, utilization, advantages compared with hand written records, as well as problems and/or disadvantages of the EMR system. Background and Objectives: Patient safety in hospital is an essential professional indicator that should be noticed. The thread of fires is of the most potentially dangerous risk that could harm patients and personnel. Hence, we studied operating room staff knowledge about fires, its prevention, and control, based on their specialty and their job tenure. Materials and Methods: This is a descriptive-analytical cross-sectional study. A cluster sampling method was applied, and a quota was considered for each hospital. In each cluster, samples were selected through census method. Data were collected using a three-part questionnaire and analyzed using SPSS version 17 (SPSS, Inc, Chicago, IL, USA). Results: The mean of their knowledge level about fires and its prevention was 2.71 (0.67), and control was 2.62 (0.71). In 66% of cases, the level of knowledge about fires and its prevention, and in 70% of cases, the level of knowledge about methods of fire control have been below the average (P < 0.05). 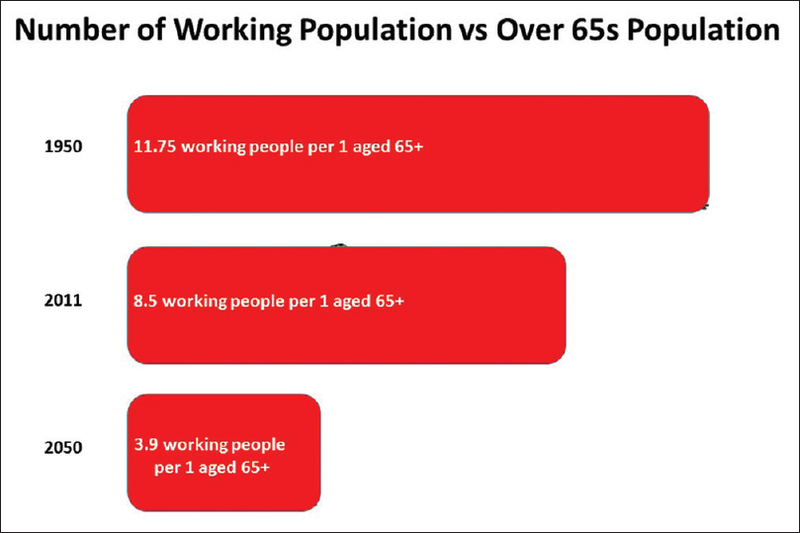 As staff age increases, their level of knowledge increases as well. Hospital they are employed by, their job tenure, and their profession can affect the level of knowledge (P < 0.05). Discussion: This study shows that the staff knowledge about fires, its prevention, and control has been lower than the average limit. Due to the sensitivity of the issue, in terms of susceptibility of the environment and medical equipment for ignition, and also the safety of staff and patients, it is necessary to make facilities for development of staff knowledge, to eliminate defects of staff training by managers, and also to consider standards. Objective: To determine the pattern and forecast visitor accession trend of two national academic journal website: Indian Journal of Community Medicine (IJCM) and Indian Journal of Public Health (IJPH) for the period 2015-2020. Materials and Methods: The visitor accession details (number of times journal issue accessed online) for the period 2000-2014 (15 years) were collected and recorded on Microsoft Excel sheet. Time series analysis was then applied on the dataset using different forecasting models to predict the future trend of accession and value of a real dataset using R software (version 3.1). 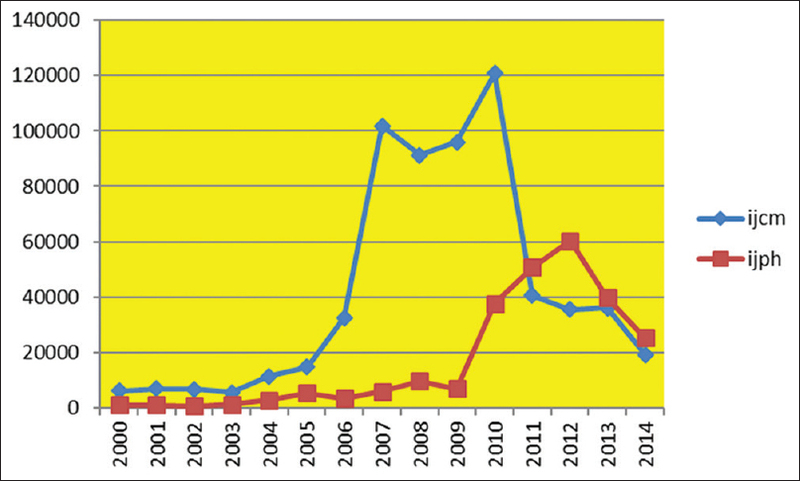 Results: Both the Indian journals are managed by independent professional bodies, but IJCM journal website was made online in 2007, 3 years ahead of IJPH (2010), leading to a very high accession (a proxy indicator for volume of readership) of IJCM during this period ranging between 100,000 and 120,000 counts, and thereafter accession was noticed to be slightly higher for IJPH than IJCM. The time series sequence showed that both had similar pattern, i.e., first stage: they have initial slow rise; second stage: sudden increasing trend from 2007 to 2010 (IJCM); and 2010 to 2012 (IJPH), respectively; and third stage: Both have then a decreasing trend with superimposed seasonal fluctuations. Future predicted accession details of IJCM and IJPH for 2015-2020 by Holt-Winter fitting model suggest stagnation with online accession of journal issue ranging from 30,360 to 31,860 counts for IJPH and 20,997 to 25,581 counts for IJCM though the range of accession for IJCM (4584) was higher than IJPH (1500), thereby reflecting that IJPH will attain stagnation earlier then IJCM. Autoregressive integrated moving average model also reflected similar results. Ljung-Box test indicated that the model was found statistically correct (P = 0.825 for IJCM and P = 0.50 (IJPH), and there was no statistically significant difference between actual values and predicted values by model. For IJCM dataset, value of R2 = 0.678 means that the model could explain 67.8% of the observed variation in the series, while it was able to explain 63.3% variations in IJPH series. Conclusion: To conclude within limitations, this study provides information on pattern and trend of visitor accession of public health journal website. The information unraveled from this study may further aids in planning, strengthening publication standards along with experimentation of innovative ideas to enhance visibility, global participation with a focus on retaining and enhancing journal user base. Background and Objectives: Electronic devices such as laptops, tablets, and smartphones are commonly used in clinical clerkships, problem-based learning, and practicals. However, there is limited literature on electronic device usage in medical lectures. This study aimed to (1) assess preclinical medical students' pattern and reason for electronic device usage in lectures and (2) assess the effect of lecture content and student factors on device usage. 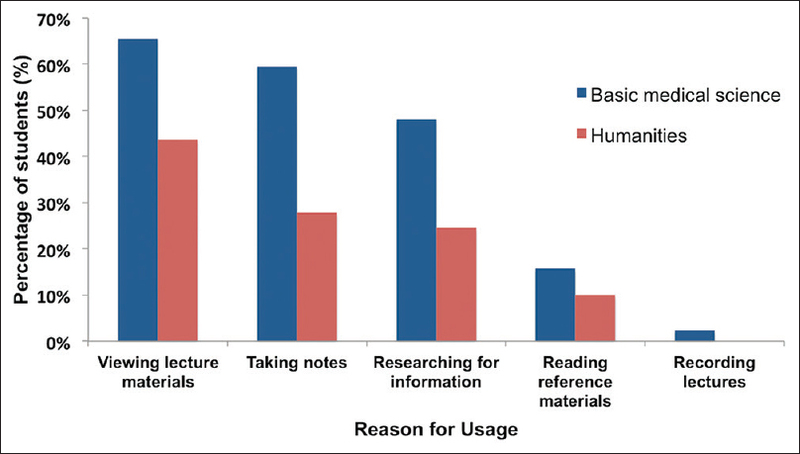 Materials and Methods: This was a cross-sectional study from the year 1 to 3 medical students of the Li Ka Shing Faculty of Medicine, The University of Hong Kong. The data was collected through self-administrated questionnaires. The questionnaire was distributed twice to the same cohort of students, once after their basic medical science lectures, another after humanities lectures. Categorical variables were compared by Chi-squared test or Fisher's exact test; continuous variables were compared by Mann-Whitney U-test or Kruskal-Wallis H-test. Results: Five hundred and seventy-nine valid questionnaires were collected. Students spent more time on electronic devices for learning in science lectures when compared with humanities lectures (P < 0.001). In contrast, students spent more time for nonlearning purposes in humanities lectures (P < 0.001). In science lectures, the mode of admission to medical school (P < 0.05) and year of study (P < 0.001) were factors affecting the device usage. 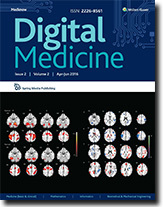 Conclusions: Lecture content, mode of admission, and year of study have a significant impact on the electronic device usage in preclinical medical lectures. Appropriate interventions are necessary to help the students make better use of their devices and decrease the time spent on nonlearning purposes, particularly in humanities lectures. Objective: The objective of this study was to analyze the functional brain activation in acute stroke patients during motor execution (ME) and motor imagery (MI) and to discuss the association between damaged brain structure and impaired brain function in stroke patients. Methods: The functional magnetic resonance imaging technique was used to observe activation of the brain during ME/MI of the upper limbs in 12 acute stroke patients (with the left brain damage) and 12 healthy controls. Results: During ME, the stroke patients appeared to be activated more strongly than the healthy controls in the ipsilateral primary motor areas. 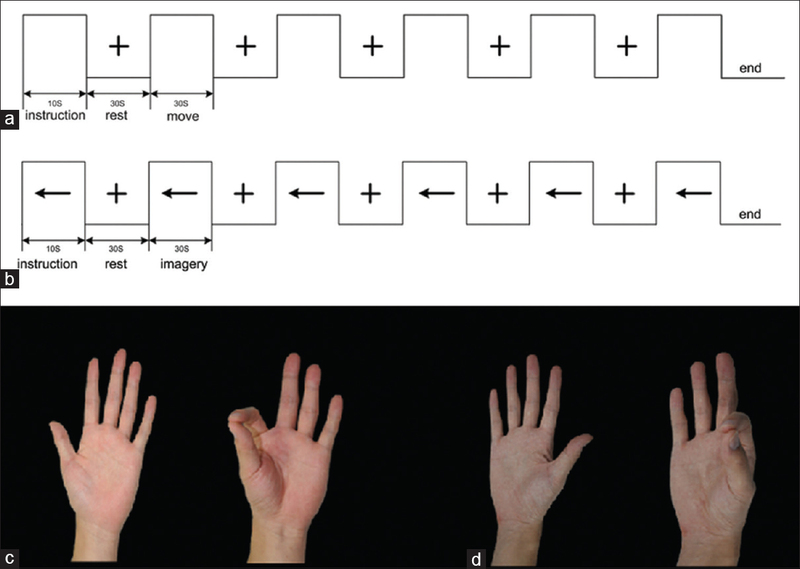 The MI of the affected hand in the stroke patients was not significantly different from that of the healthy hand. The nonmotor areas, the angular gyrus, and the fusiform gyrus were also activated during ME/MI. Conclusion: Structural damage in the brain is associated with the activation of brain function in acute stroke patients. Ipsilateral inhibition is reduced in stroke patients during ME and the damaged brain needs to recruit more brain areas to complete the desired action due to motion difficulties resulting from brain damage. The participation of nonmotor brain areas in ME/MI indicates that cortical reorganization may contribute to the restoration of motor function following stroke. MI can be used to improve injured brain areas, helping with the rehabilitation of stroke patients.